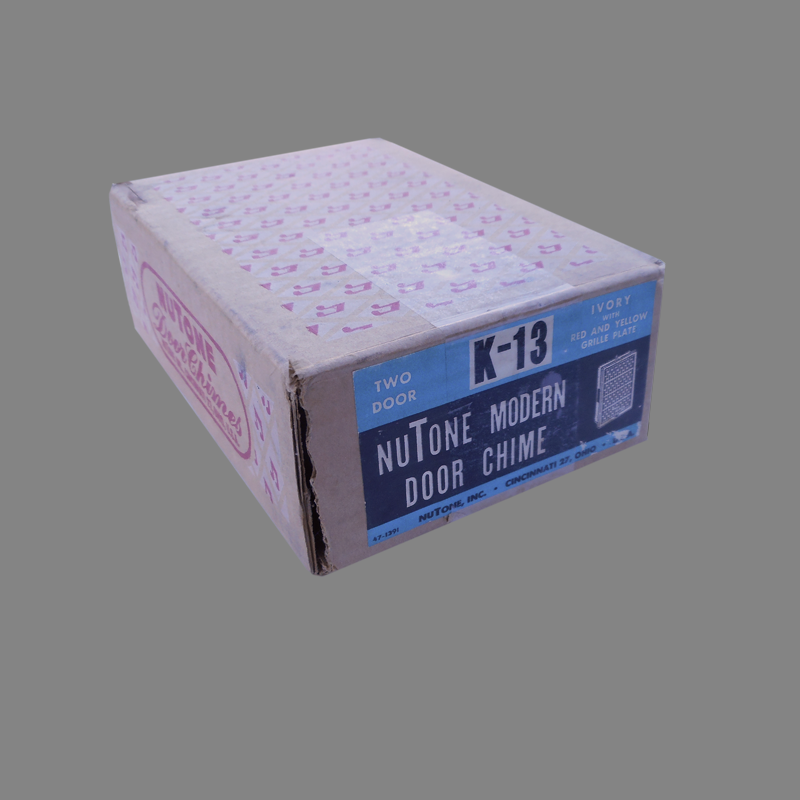 A reversible color plate distinguishes this Compact NuTone Door Chime. 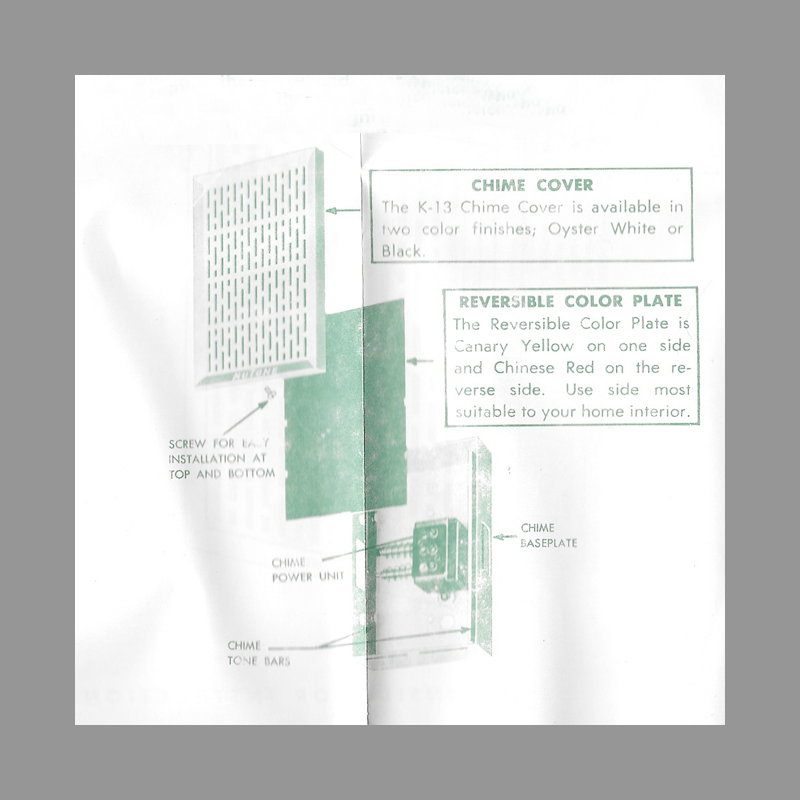 The instructions for this 1955 example describe the reversible grill plate as “Canary Yellow” on one side and “Chinese Red” on the other. 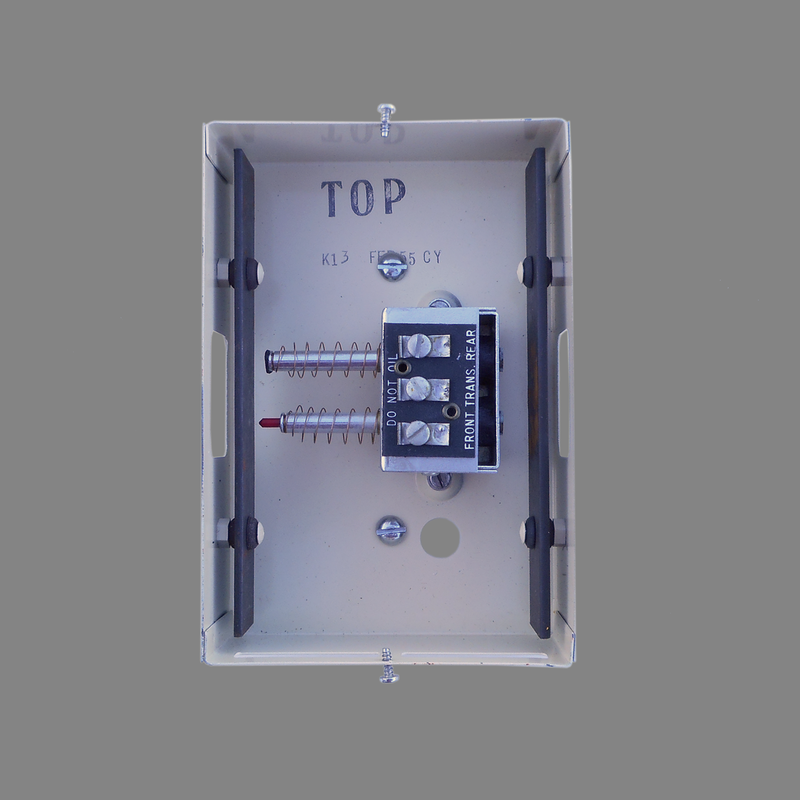 The box label indicates the plastic cover is “Ivory” with a Red and Yellow Grille Plate”. 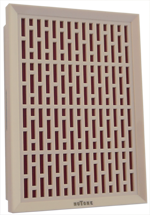 Upon introduction in 1953, the K13 Modern chime was described as having an “Oyster White” plastic cover with reversible “red and gold metal grille plate”. 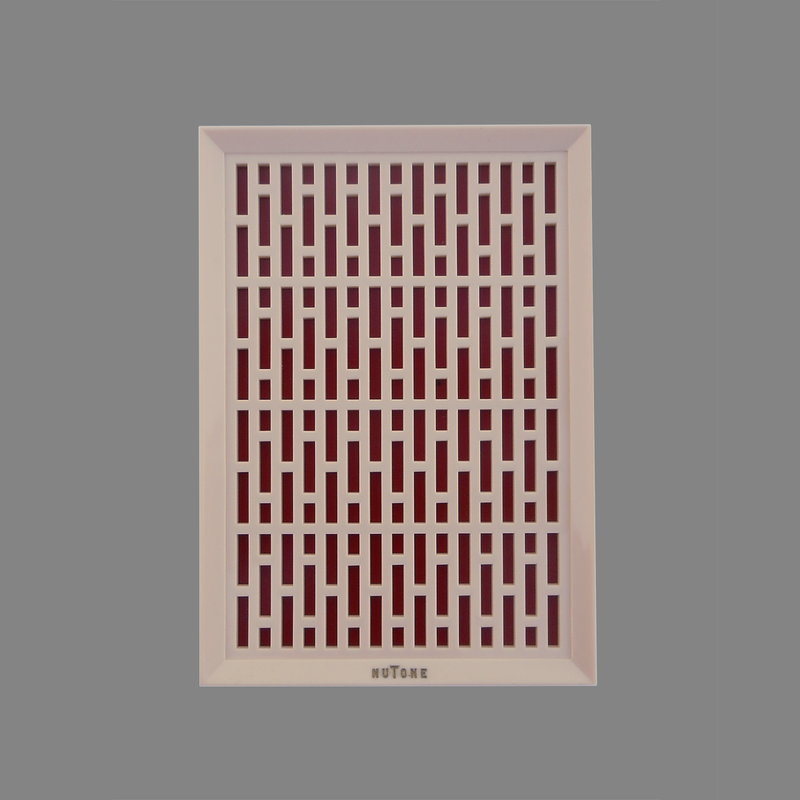 It is not certain whether the early Oyster White cover was a different shade than the 1955 Ivory example seen here. The grille plate may also have differed from year to year. 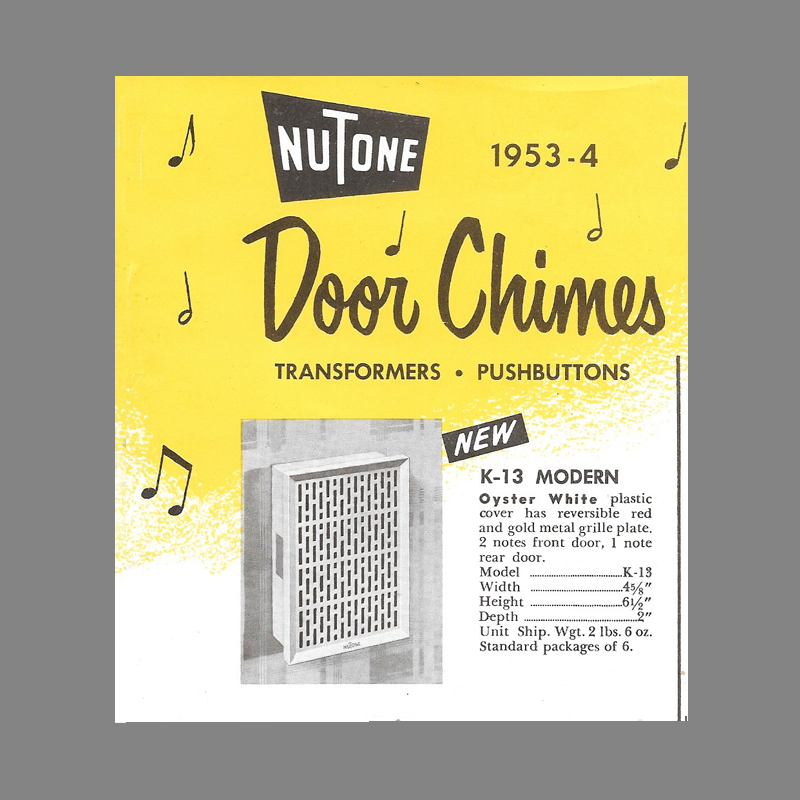 The more likely explanation is that various copy writers described the chime differently.